The Dutch military presence in Afghanistan will almost certainly end next year. Coalition partners Labour and ChristenUnie will block any move to extend the mission. The surprise motion by coalition partners Labour and the orthodox Christian ChristenUnie was tabled late on Wednesday night at the end of a debate in parliament about the Dutch participation in the Nato mission in Afghanistan. A vote will follow later this week. Prime minister Jan Peter Balkenende (Christian Democrats) had come to parliament together with foreign minister Maxime Verhagen (Labour) and defence minister Eimert van Middelkoop (ChristenUnie) to explain the government position about Afghanistan. The Netherlands currently has around 1,450 troops in Uruzgan province in Afghanistan. Confusion had risen in the past months over the future of the Uruzgan mission. The Netherlands joined the Nato mission in Afghanistan in 2006 for what was supposed to be a two-year operation. 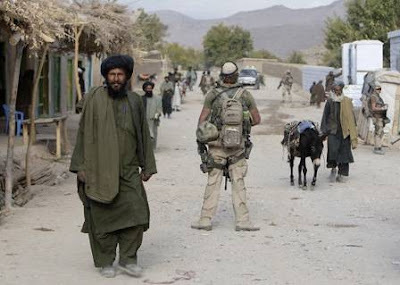 When the mission was extended for another two years the government said Dutch troops would definitely be out of Afghanistan by the end of 2010. But foreign minister Verhagen suggested last week in New York that an extension of the Uruzgan mission was still a possibility. Verhagen wondered if "the Netherlands can just pass the buck" in Uruzgan. Other countries taking part in the ISAF mission in Uruzgan, including the US, have been lobbying the Netherlands to stay longer in Uruzgan, possibly in a different role. But Labour and ChristenUnie now say they want to stick to the original government's decision of two years ago, leaving the third coalition party, the Christian Democrats, in the lurch. Foreign minister Verhagen asked parliament to keep an open mind, and warned that a Dutch departure could have a snowball effect on the other countries participating in the Uruzgan mission. 21 Dutch soldiers have died in Afghanistan since the Uruzgan mission began in 2006.